DETROIT. Ford (NYSE: F) and Volkswagen AG (OTC: VWAPY) jointly announced an expanded partnership that includes commercial vehicles during a press conference this morning at the North American International Auto Show in Detroit. Talks between the companies began last summer and appeared to initially focus on electric and autonomous vehicle research and development. Discussions expanded since that time, leading to Tuesday’s announcement covering commercial vans and midsized pickups. It may not be limited to this though. “We’re also considering additional vehicle programs in the future,” Ford CEO Jim Hackett said. “Jim and I are confident that our ongoing dialogue may lead to further agreements in the future,” Volkswagen CEO Herbert Diess added in his remarks. The alliance will start producing vehicles as soon as 2022, the CEOs said, enabling both companies to develop scale and efficiencies through the sharing of vehicle architectures and technology. Both companies also signed a memorandum of understanding to investigate collaboration on autonomous vehicles, mobility services and electric vehicles and have started to explore those opportunities. Under terms of the alliance, Ford will engineer and build medium-sized pickups for both companies. For both parties, Ford intends to engineer and build larger commercial vans for European customers, with expected arrival of those vehicles in 2023. Volkswagen will develop and build a city van, also slated for a 2023 debut. “Volkswagen and Ford will harness our collective resources, innovation capabilities and complementary market positions to even better serve millions of customers around the world. At the same time, the alliance will be a cornerstone for our drive to improve competitiveness,” Diess added. Ford and Volkswagen will set up a joint committee to run the endeavor, which does not include cross-ownership. The committee will be led by Hackett and Diess and will include senior executives from both companies. Combined, the companies produced 1.2 million light commercial vehicles globally in 2018. On Monday, Diess told reporters his company was big in cars but had not reached the same success with commercial vehicles and pickup trucks. He is hoping the tie-up with Ford will change that. Diess noted, for instance, that the Volkswagen Amarok pickup would share a Ford platform and be marketed worldwide, “potentially in the United States.” Hackett said the city van and 1-ton Transit vehicles would be for Europe only at this time while midsize truck development would be for South America, Africa and Europe. “They will have their own unique branding strategy and their own unique go-to-market strategies,” Hackett added. On the call, Hackett noted the changing landscape of the global automotive market, with OEMs racing to shift resources to electric and autonomous vehicle development. Volkswagen has been among the global leaders in autonomous vehicle development and Ford will be able to leverage that expertise, just as Volkswagen will leverage Ford’s global pickup expertise. Diess said both companies will maintain their individual identities, but they will look at plant capacity. “Part of the leverage here is to use existing facilities,” Hackett said, although there was no official announcement regarding facilities or potential shifting of employees. There was no indication at this time that the partnership would extend beyond vans and pickups to larger commercial vehicles, but both companies also include Class 8 trucks in their portfolios, although not in the U.S. Ford used to offer a Class 8 truck in the U.S. but exited that business for good in the late 1990s. The U.S. auto giant offers 42 commercial vehicle options globally while Volkswagen’s platform includes 38 variants of vans and pickups. In North America, Ford is known for its pickup trucks. Its F-150 has been the best-selling pickup for 30 years and its Super Duty line, which extends all the way up to the F-750, is among the most popular commercial vehicle lines in the U.S. Outside of the United States, Ford is particularly strong with its commercial vehicles. In Europe, Ford’s F-Max was named the International Truck of the Year at the IAA Commercial Vehicle Show last September. 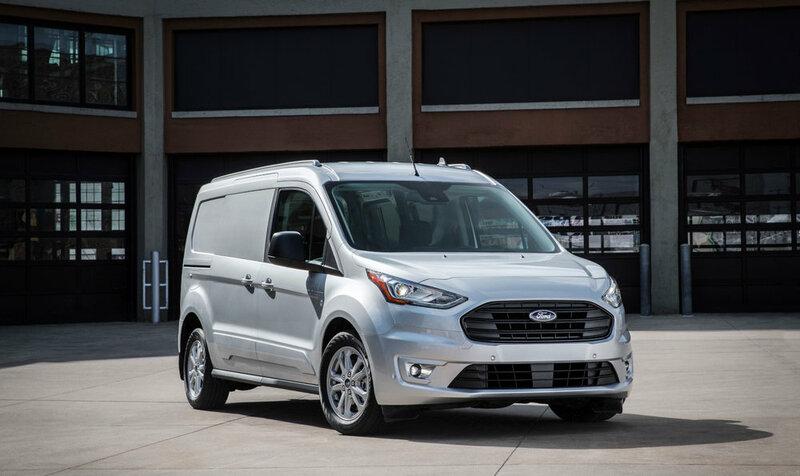 It also has strong commercial products with its Transit van, which originated in Europe before coming to the U.S. a few years ago, and the smaller Transit Connect, which is based on a Ford European design. Volkswagen, which has been working more closely with Navistar in recent years to share technologies on heavy-duty trucks, operates commercial truck brands MAN and Scania overseas under its Traton Group brand.